Shane Warne is one of the great ambassadors of international cricket. His talents and charisma have helped make him one of the most recognizable sportspeople on the planet, and with such a big personality, we shouldn’t be too surprised to learn that the leg-spin bowler has endorsed his very own game for iOS and Android. More details, as well as those all-important download links, are coming up right after the break! Aside from being a must-download for all fans of Shane Warne and perhaps even Australian cricket, this is also a pretty significant release for cricket fans in general. Not only is Warne continued to be admired across the globe in his retirement, but both the App and Google Play Stores are fairly bereft of decent cricket titles, and we seriously mean it. Compared with other sports, there aren’t that many exciting cricket-themed games available for our mobile devices, and although this, unfortunately, isn’t a cricket simulator as some of you may have hoped, it is a pretty enjoyable one to play nonetheless. 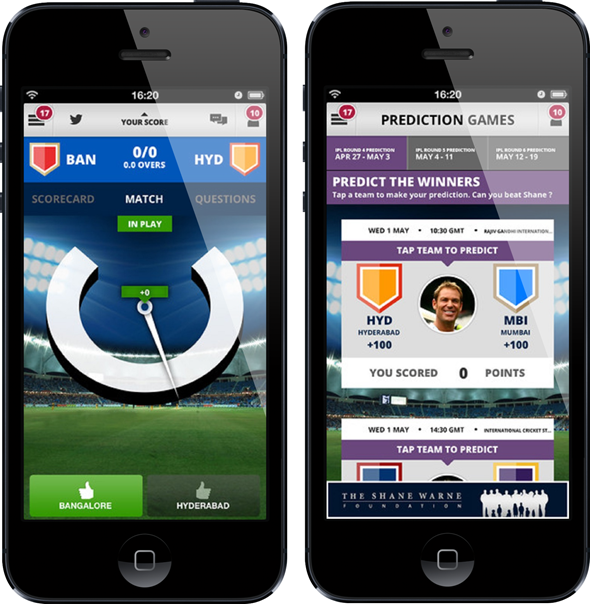 It’s basically a cluster of trivia, statistics and other great cricket facts all in one place, but its marquee feature is the ability to challenge Warne in predicting the winners of each game. With such vast experience, Warne should come out on top every time, but with cricket being such an unpredictable sport at times, you’ve a great opportunity to out-fox a cricketing legend. You earn points based on your correct predictions, and can even create your own private leagues for you and your friends, to see who is truly the most knowledgeable about the sport. Really awesome stuff if you wish to test your cricket gray matter inside your head. The app is great fun, and is available for both iOS and Android users. 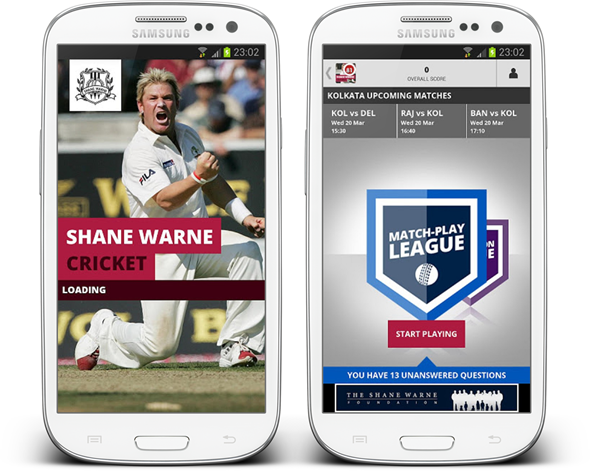 If you’re a cricket fan, and think you have what it takes to compete with Shane Warne in cricket knowledge, then give the game a try by clicking on the link below specific to your device.